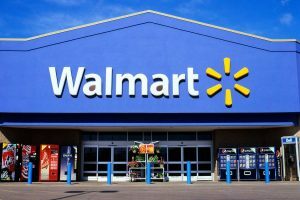 Wal-Mart (NYSE:WMT) CEO Doug McMillon touted the company’s investments in people and technology at the company’s annual shareholders’ meeting Friday. Wal-Mart workers from around the world packed the arena for the meeting. Blake Shelton served as host for the event and performers included Gwen Stefani and Mary J. Blige. McMillon talked at length about the company’s efforts to offer more shopping options during the meeting. The company now offers automated pickup stations in some store parking lots, in-store pickup for online orders, and “Jet Fresh” grocery delivery. The company also implemented a program to let online shoppers pick up items at a store for a lower price and revamped its shipping program. On Thursday, Wal-Mart announced a new delivery service that uses its own store employees to deliver packages while driving home from their regular work shifts. Tinkering with its shipping offers and other services has resulted in an online sales surge for the company. The retailer has also posted sales gains at established stores for the eleventh straight quarter. Wal-Mart also drew more shoppers to its stores in its fiscal first quarter. Customer traffic has risen for the tenth quarter in a row. In recent months, Wal-Mart has purchased several smaller retail sites to boost its offerings and better compete with Amazon. The company acquired online retailer Jet.com for more than $3 billion towards the end of last year. Wal-Mart also bought ShoeBuy.com, outdoor gear seller MooseJaw, and clothing retailer ModCloth. McMillon doesn’t want employees to be afraid of automation. The company currently has 1.6 million workers and 4,700 stores. According to expert estimates, 6 million to 7.5 million U.S. retail jobs could be wiped out in the coming years due to the use of technology. Advisor Group Inc. Lowers Stake in Terex Co. Triumph Bancorp Inc Stake Boosted by Advisor Group Inc.
Archrock Inc Shares Bought by Advisor Group Inc.